Black Friday Amazon deal: Save over £1000 on the Sony A7 and 28-70mm Zoom Lens combo! If you're looking for a new camera, Amazon has a quite-frankly-amazing deal currently running at the moment. Yes, if you haven't heard, it's Black Friday, with discounts across TVs, smart home, gaming, and, most importantly, cameras. The best deal we've found is the fantastic Sony A7 and 28-70mm lens combo with £890 off the RRP, yes £890! That makes it a fantastic deal at just £659. 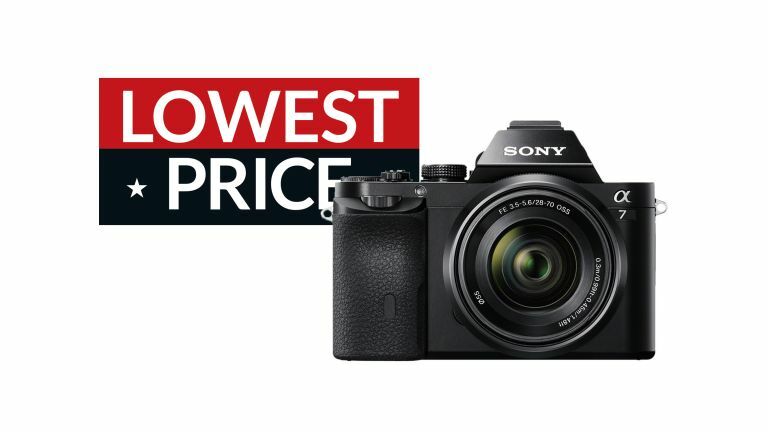 But the deal doesn't stop there – you can claim £150 cash back from Sony, making the total cost of this camera just £500! There are also a few other Sony cameras discounted, as well as some from Canon. Check out the other camera deals available on Amazon for Black Friday. Preserve important moments in your life with help from this camera which features a 24.3-megapixel Exmor CMOS sensor for crisp image and HD video capture. You can start shooting right away, since a 28–70 mm lens is included. If you see something that you need to share with a friend right away, simply connect your Wi-Fi-enabled device. Amazon has just knocked a substantial chunk off the RRP of this full frame camera and lens combo, bringing its price right down to only £659. Don't forget to claim the £150 cash back from Sony, making this package just £509. It's an amazing deals, and not to be missed if you need a new camera.